An unaltered photocopy of your DD-214, WD AGO or NGB-22. 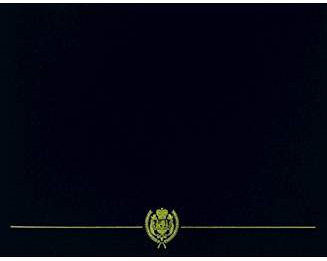 If your service with the 4th Infantry is not displayed on your DD-214 you must provide a copy of your DD-214 -AND- a copy(s) of any military-issued clearly displaying your service with the 4th Infantry Division. AGO, NAVPERS, NG or other Report of Separation: 1-562-422-4100 (Pacific Time Zone). 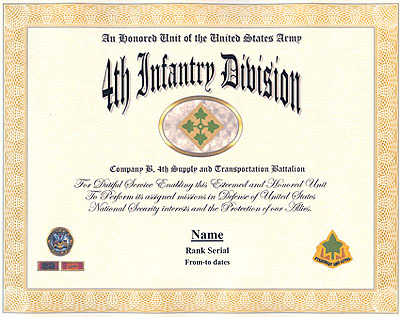 The 4th Infantry Division is the Armys First Digitized Division. The division shares a long and distinguished history that includes combat in four wars: World Wars I and II, the Vietnam War and Operation Iraqi Freedom. It has earned twenty-one campaign streamers with sixteen 4th Infantry Division Soldiers presented the Congressional Medal of Honor. Fort Hood is in the beautiful Hill and Lake country of central The 4th Infantry Division is a proud, combat-ready organization located in great locations that provide its Soldiers and their Families unlimited opportunities to grow and develop. Steadfast and Loyal!